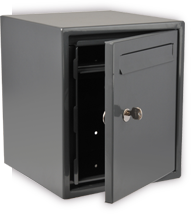 Our traditional and modern through the wall letterbox range will keep your post protected, each designed with secure locking systems. Their discreet design fits through walls or pillars, with medium and large options available, and adjustable depths on some models. 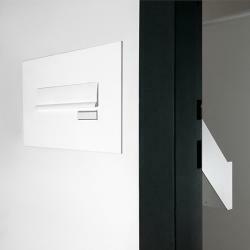 Our breach telescopic letterbox is extendable, with a large size letter plate and large capacity, ideal for parcels. Our popular Norvin letterbox option features an anti-fishing device, making it almost impossible to remove post via the front of the letterbox, allowing rear retrieval only. For further specifications please select the images below. All our postboxes, mailboxes and letterboxes are manufactured in different coloured resilient materials, making them highly robust and weather resistant, whilst blending with the exterior of any aged property. 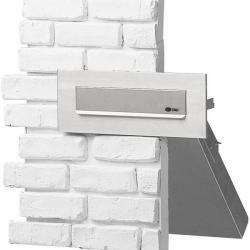 Please browse through our letterbox range today. If you have any questions regarding our through the wall letterbox range, please do not hesitate to contact us for more information.